Taste a magnificent selection of showcase Shiraz wines, each very individual in style, at Die Bergkelder in Stellenbosch on Thursday, March 1. 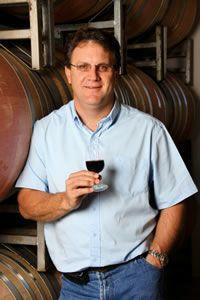 The tasting will be presented by award-winning winemaker Guy Webber. The line-up of delicious wines will include Lomond Conebush Shiraz 2007, Lomond Syrah 2008; Plaisir de Merle Shiraz 2008, Nederburg Manor House Shiraz 2006, Fleur du Cap Shiraz 2009, Durbanville Hills Shiraz 2006, Stellenzicht Golden Triangle Shiraz 2007, Zonnebloem Limited Edition Shiraz 2007, Tukulu Shiraz 2005, Allesverloren Shiraz 2009 and Alto Shiraz 2003. Die Bergkelder tastings take place on the first Thursday of every month and feature a selection of premium wines, brandies and whiskies. Whatever you buy on the evening will be available to you at a 10% discount.